My typefaces aim to capture the vibrancy of custom lettering using craftsmanship and technology. They can be used for both print and web and are available at Adobe Fonts, MyFonts & FontSpring. 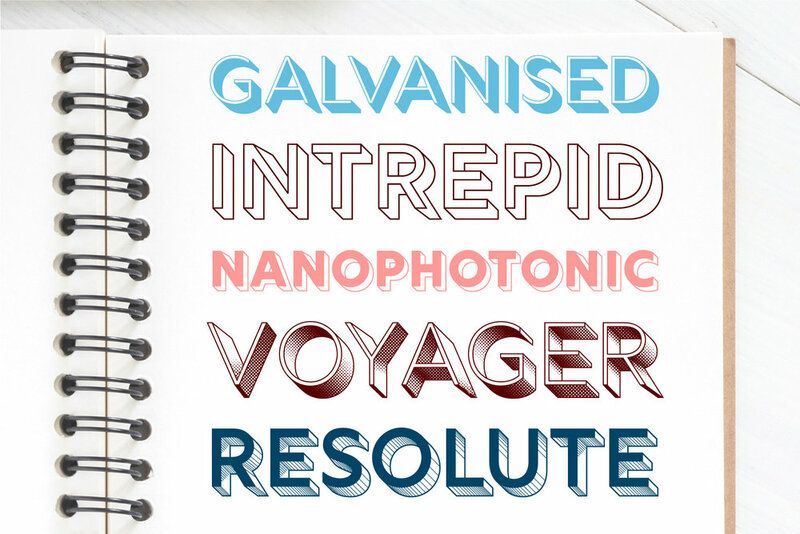 Rig Solid extends your graphic design toolkit with a range of energetic 3D fonts. Its striking styles add depth and texture your typography, while the hardy solid styles provide a hefty punch to your graphics. 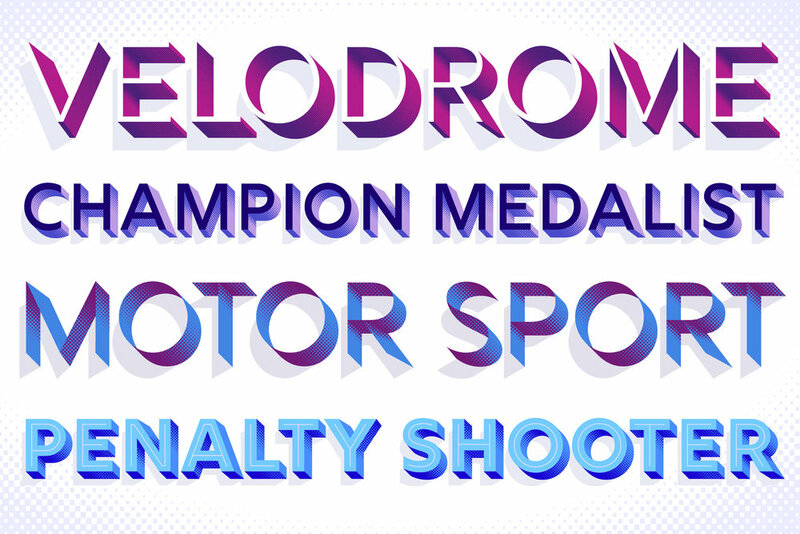 Rig Shaded is an award-winning 3D type family with a geometric sans serif at its heart. Its four weights include eye-catching halftone shading that accentuate Rig's solid appearance. As its name suggests, Rig is designed as a framework to support a range of striking 3D effects. 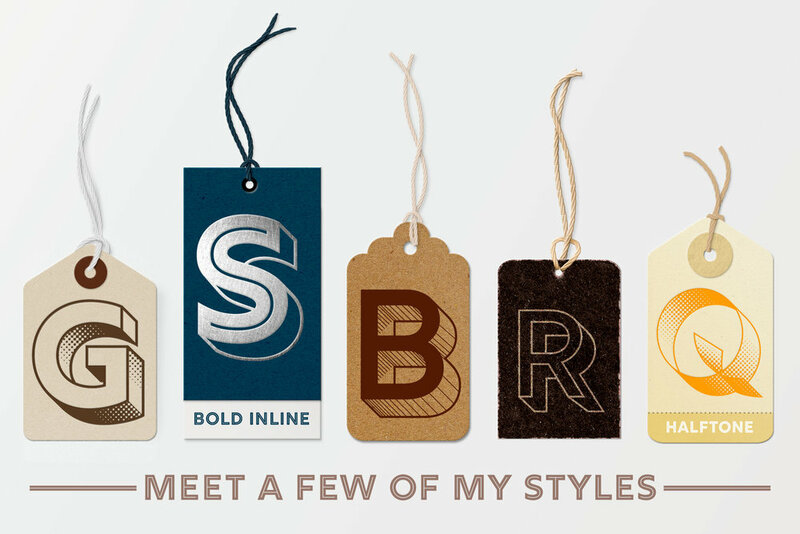 Brim Narrow is inspired by antique wood type and chromatic type from the 1800s. Its various styles stack together creating a huge variety of decorative combinations. Brim Combined makes it even easier to achieve striking headlines on the web with three stand-alone styles combined from the acclaimed Brim Narrow family.